Fans across the world have been eagerly Jason Mraz’s return to the concert stage, and he’s back with his Tour Is A Four Letter Word world tour. The tour will kick off in Asia visiting South Korea, Malaysia, Indonesia, Hong Kong, Taiwan, Singapore and Thailand. Thai fans will have a chance to see the Grammy-Award winner in JASON MRAZ “TOUR IS A FOUR LETTER WORD” Live in Bangkok on June 16 in his first ever concert with his full band in Thailand, at Impact Arena, Muang Thong Thani. 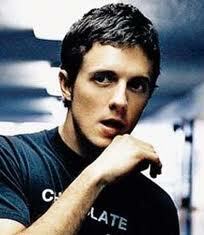 Jason Mraz is recognised as one of the most talented pop singer-songwriters of the last decade. In 2008, I’m Yours, the first single from his We Sing, We Dance, We Steal Things album, became his first Billboard Top 10 smash. The single is the longest-running Billboard Hot 100 hit ever and also won ASCAP’s Best Song of 2010.The album has been certified multi-platinum for its massive sales across the globe. That success is set to carry on with his brand new album, Love Is A Four Letter Word. The album is produced by multi-Grammy Award-winning producer, Joe Chiccarelli. It has been hailed Jason’s best album yet. It is his first studio album in four years. With its beautiful melody and touching lyric, the album’s title track, I Won’t Give up, has already reached the no. 1 spot on Billboard’s Hot Digital Songs and iTune’s Top Songs charts. Aside from his music gift and enormous success, Jason Mraz is also recognised for his charity works. The American artist has established the Jason Mraz Foundation to support various charities.